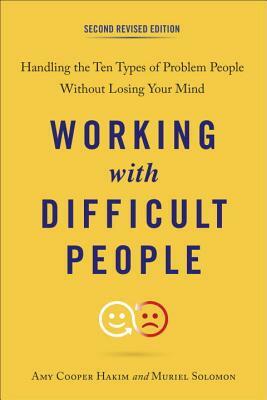 A revised edition of the classic guide on how to best resolve conflict in today's technologically advanced workplace. Your work day is filled with them--people who frustrate, impede, maneuver, undermine, plot, connive, and whine. This indispensable guide details specific techniques for handling all of them, with easy-to-follow scenarios for every situation. Updated and revised to reflect modern issues including technology, generation gaps, and language barriers, this guide describes 10 kinds of culprits, from tyrants and bullies (regular and cyber) to the pushy and presumptuous to connivers and camouflagers; and offers helpful strategies and phrases for diffusing workplace tensions and effectively resolving conflicts. AMY COOPER HAKIM, PhD, is the founder of The Cooper Strategic Group, a management consulting firm that specializes in training and development, targeted hiring, and survey design and analysis. As an Industrial/Organizational psychology practitioner she provides solutions to make businesses run smoothly and help employers find, maintain, and effectively utilize top-notch employees. MURIEL SOLOMON worked in communications for over 40 years. She taught her "Strategic Talking" method to companies throughout the United States, and wrote a syndicated column for the Miami Herald for many years.